“I feel like I am living out my passion. It has stretched me, grown me and changed me. 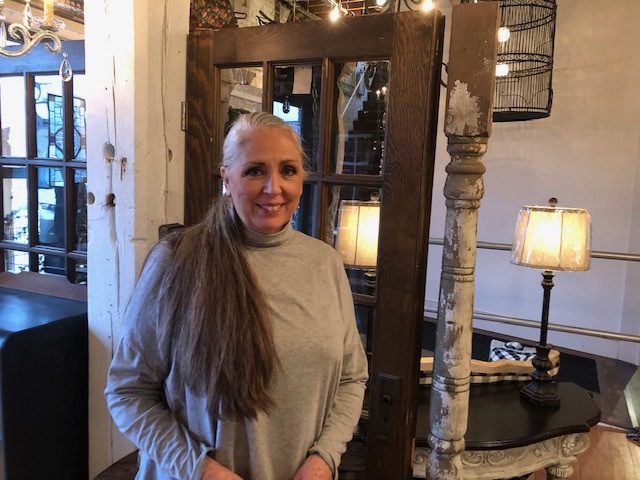 It’s probably been one of the most phenomenal experiences of my life.” This is what Pam Hoffer told the Elkhart Truth about her experience as the force behind her business Birds Gotta Fly. Located on Michigan Street in Elkhart, ‘Birds’ is one of the most delightfully eclectic shops you could ever think to visit. Two floors of refinished furniture, antiques, gifts, goods and supplies are carefully curated and displayed with a keen sense of aesthetics. You find things on the floor, on tables, in the windows and, of course, hanging from the ceiling. Why Not? The place is every bit as inviting as it is quirky. As customers browse, you can see Pam tending to them, smiling. She is answering their questions, making suggestions and making sure the rest of the staff is as warm and attentive as she is. “We live in a world that is so fast and people need more genuine time with people,” she said. It’s how she thinks, what she believes and how Pam Hoffer makes things happen.